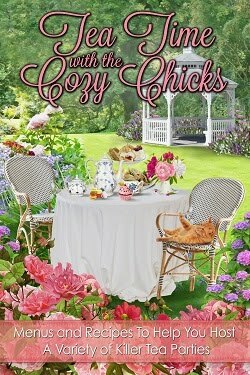 Cozy Chicks: Bouncing new covers and a silly Walter the Pug contest for you! 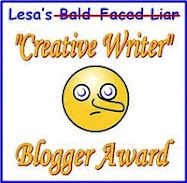 Bouncing new covers and a silly Walter the Pug contest for you! Well, I do remember being a proud mum and showing off babies in person and in photos and I must say that sharing the new covers for books feels pretty much like that. It's very exciting and satisfying after all those long months of waiting. This month, Victoria Abbott (that's me and my daughter) are celebrating the cover for The Wolfe Widow: the third book collector mystery. It's out September.2, 2014. Of course, you always worry about the covers. Will the colors work? Will the cover capture the spirit of the book? Will the dog appear to have six legs? Will we love it or will we hate it? We were very relieved with this new cover. In fact, thrilled. We think it's cute and smart and all that good stuff. While we were mid-celebration, we got to see the cover for the audio version of The Christie Curse which is coming out in April! Here for the first time, is the reveal. Ta da! WHAT IS THE PUG'S NAME? So pop by, comment, and we'll put your name in the hat. 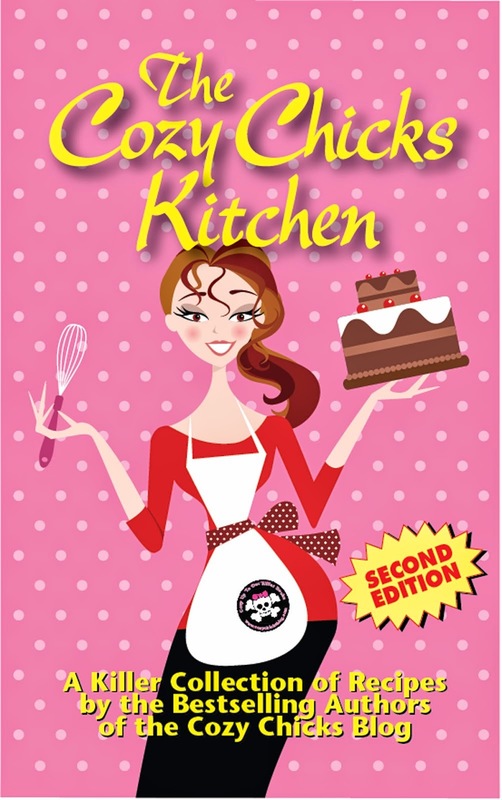 I'll announce the winner next Thursday right here on my regular Cozy Chicks day. We know you'll find that clue. Good luck. And now, what do you think of the babies, um, covers? Walter is so cute. He definitely reminds me of both my pugs, cash and gave. And the cover art is fabulous. I love the covers in The Wolf Widow. Walter the Pug is so precious! I love both covers, but the audio book cover is super cute. Maybe because we're up close and personal with Walter. :) So sweet. I really like the cover of the book.It would grab my attention in a book store. Walter is pretty cute. Love Walter and really love the covers.. That's a big guess on his name. LOL .On the Wolfe Widow cover, I would just like to go rock in that rocker and watch the world go by... My whole family loved rocking chairs. I have 3 in my living room and another Boston rocker I can drag into the room if needed. Walter is so cute, he reminds me of my mother in law's dog Gigi, hmm, maybe they should meet, lol. I love the cover Walter looks like he's into reading, the intellectual type. The look on his face on the audio version is priceless. I bet having your books come out is like cooing over babies. I love both covers. Walter the pug looks especially adorable on The Christie Curse audio cover. Love the series. Love audiobooks and Walter is adorable. Both covers are really nice. Thanks for the contest. I've love to win the tote. Love the covers...The pug's name. Don't tell me...I'll get it. Ah, it's Walter! I love Walter and I love the covers! This series is so much fun and I can't wait for the Wolfe Widow to come out!! Thanks, Christina! So glad you love the books. Makes me (and us) happy. Hugs! Thanks, Vanessa! I think it would be great to have two pugs in real life! We have two dachshunds and one pug. But they are kind of addictive. Up close and personal! Love that. Glad you like the covers. I think the audio is super cute too. Thanks, Kim! That is his name. Good luck in the draw and thanks for coming by today. Hey Carol! Your wild guess is right. Good luck in the draw. We hear you love dogs and books. Thanks, Alicia. Got it in one. Good luck in the draw. Walter definitely knows he's cute too. Thanks for your comment, Amanda. Good luck in the draw. We like our books to grab your attention. Thanks, Barbara! Glad you like 'em and good luck in the draw. Adorable is good. Wow! Very jealous of those rocking chairs, Diane! Good guessing on Walter too. Both covers are great, but Walter's expression on the audio one is just priceless. Love the audio cover for the Christie Curse - Walter does a great close-up. I am already a lucky user of a tote and enjoy sharing news of Victoria / Mary Jane's series when the pug's "mug" is noticed. Walter! (Which, my parents would have named me if I had been a boy!). I love the covers. I am particularly fond of covers with animals on them. He is pretty intellectual. It must be visiting Van Alst House and all those books. We think his expression is priceless too! Hugs and good luck in the draw. I do like the look of The Wolfe Widow! I love Halloween covers. And hmm Walter the pug's name, could it be ... Walter? Both covers are great, but I really love the audio cover. Perfect! Thanks, Jeannie! We love the audio cover too. So glad you enjoy the series and the covers. Than you, Rose! Glad you like 'em and Walter agrees that he's adorable. Well done, Ms. N. Good luck in the draw and enjoy this springish day. Thanks so much, Janet. We are excited and are so glad you like it and can't wait too. Thank you, Antonette! We agree. We'll get our editor to send compliments to the artist. Thank you, Nancy! We really appreciate that you enjoy sharing the news. Readers make all the difference to us, so those are magic words. Ha! Sparks? Or flames? You've got us wondering, Kendra. Thank you L.C.D,. They do look like places to curl up and read. Maybe that's why I keep wanting to take the afternoon off with a good book. The covers look fabulous and I can't wait to get my hands on the books. Walter. It is just the most perfect name for that pug. Nicely guessed, Aurian. We love Halloween too and fall in general. I think the artist captured that. Thank you, Kelly! The books will be happy to have your hands on them too. It is a perfect name for that little pug, isn't it! Glad you played our silly game and good luck. By the way, the covers look wonderful. Walter's eyes are so soulful on the audio version. Love it! Great covers! And that Walter, precious! The pug is Walter -- and he's such an adorable cutie. Just finished reading BRAN NEW DEATH -- loved it and anxiously awaiting the next one. Love both covers. The settings look comfortable, and Walter is very "photogenic". I have been watching Audible closely for The Christie Curse to be available there. Can't wait. Good luck with the new book and I hope all your books end up in audio. And it is Walter the pug. Very cute. Love the series and the covers and Walter, the pug! Love the covers---any cover with a dog on it gets me every time. Walter is such a cute name for a pug. Thanks for the contest. Thank you, Melanie! Walter knows he's precious and he's glad you realize it. I love the series, both covers are great. I particularly like the audio cover with, uh....Walter the pug on it. Thanks Lynda. We believe that The Christie Curse will be out on April 14th. What an Easter gift. Good luck in the draw and thanks for coming by. Thank you, Grace! Walter is cute for sure (a bit vain though). Good luck in the draw. Thank you! We all love you readers too! Hi Sue Farrell! It's always nice to hear from you. We are suckers for pooches too. Good luck in the draw. If Walter is on the audio cover, I will down load it as my next audio book on the iPod. I love both covers...can't go wrong with my favorite season and Walter the pug...he's almost as cute as my shug (shih-tzu/pug) Mamie! There's no fooling you, Kaye! Glad you like the covers, esp with um Walter. He's so there, Theresa! I hope you'll like the audio. We can't wait to hear it. Mamie's such a great name, Cynthia! We also love fall and pugs and of course, murder. The covers scream buy me to me, because there is a puggy on them! Love the covers! Of course, with Walter on the audio I think I'll get it to listen to even though I've read the book already! Yep, think that's what I'm going to do. I'm pretty sure his name is Walter. Either that or you just wanted to put that in red for no reason. I like the cover for The Wolf Widow. It reminds me of Fall. I like both of them but like that one more. Both covers are great but I think I'm partial to the audio version cover for The Christie Curse. It is an adorable rendition of Walter the Pug.... who just happens to have the name Walter. What a cutie! We know who you are anonymous! Puggy loves to be recognized and bought! That's music to our ears, Linda! Walter loves you right back. 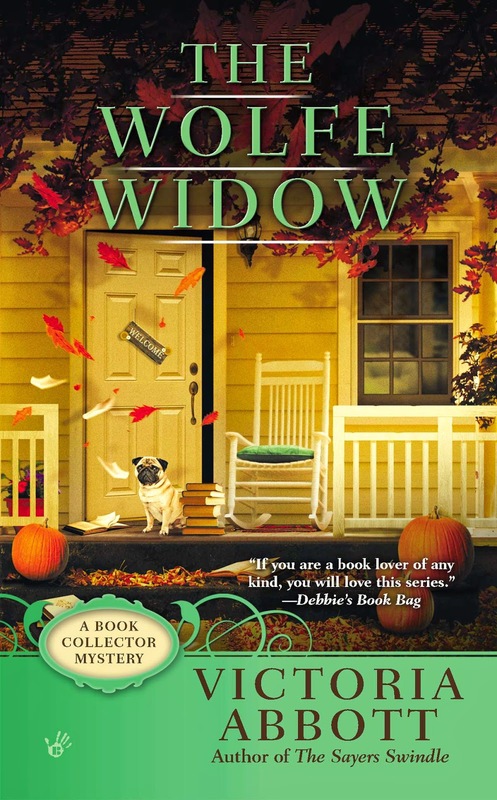 You're onto us, Linda K. We like fall too and were very happy with The Wolfe Widow! I love the covers. Walter is a very good model. I have not run across your books at my library, yet. I hope to find one soon. They sound like lots of fun to read. Walter is almost as cute as my Lhasa Apso, Snickers. I really like both covers, but The Christie Curse one has a pose that reminds me of our dog. She loves to sit in chairs and look like she should really be there. Just like Walter, the pug. And I don't think it looks like the dog has six legs in either one! Hope that was rhetorical! :) Thanks! Thanks, LV! As a former librarian, I suggest that you can request them. The books are coming out in Large Print and Audio as well as Mass Market. I think you and Snickers would enjoy them! Yes, six legs was just an 'anxiety' joke from a neurotic writer. Glad you liked the covers and we totally approve of dogs in chairs reading.